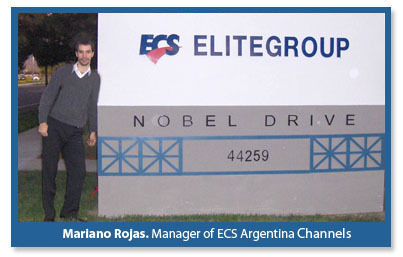 “We invite GeeksHive´s members to participate in the trainings we are bringing so they can offer their clients not only a product but also full and real advice”, explains Mariano Rojas, ECS Channel Manager for Argentina. After the launch of its Black Series, in 2008, ECS set, for this year, the objective of bringing an integral support not only to wholesalers but also to end consumers, making the work easier and more dynamic. “It is useless to invest funds in shares focused only on distributors or on specific groups of clients, while the product is consumed by thousands of people in the market” states Rojas.